Located 90 kilometres northwest of Madrid, Segovia is a charming and historical town. 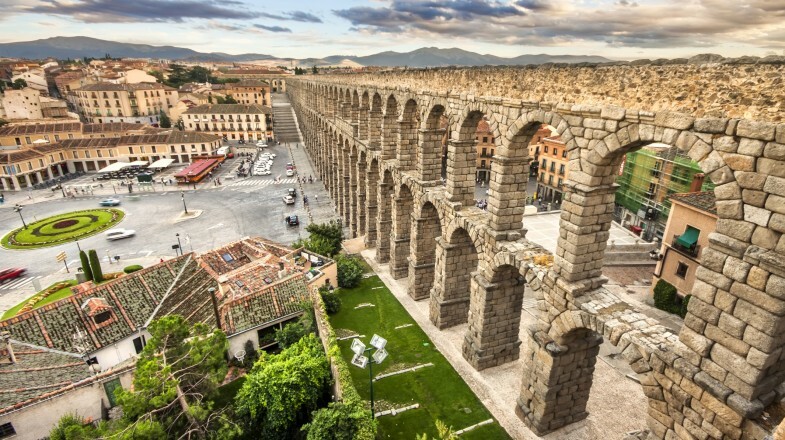 The city is famous for its 28-meter-tall Roman aqueduct. A UNESCO World Heritage Site, this massive 894-meter long feat of engineering dates back to the late first century and is a sight to behold. The cheapest way to travel from Madrid to Segovia is by bus. Buses depart from the Moncloa bus station, located northwest of the city centre. Buses run once or twice an hour throughout the day, with fewer trips on weekends and holidays. Buses are operated by La Sepulvedana. The coaches are clean, comfortable, and air-conditioned, and the service is generally on time and reliable. The majority of their coaches offer free onboard wifi. Tickets for La Sepulvedana buses can be purchased at the station or in advance online. Ticket are currently USD 9.19 one-way and USD 16.80* return. The fastest way to get from Madrid-Barajas Adolfo Suarez Airport to Moncloa Station is via metro. Take the pink line from terminals 1, 2 or 3 to Nuevos Ministerios and transfer to the grey line (direction Laguna), exiting at Moncloa. Trains run from the airport to Moncloa between 06:05 and 02:00 and depart regularly throughout the day. Direct route buses depart for Segovia regularly throughout the day between the hours of 06:45 and 23:00. Return trips run between the hours of 05:35 and 21:30. For exact times, visit the La Sepulvedana website. The journey between Madrid and Segovia takes approximately an hour and ten minutes. The fastest way to travel between Madrid and Segovia is by AVE high-speed train. Trains depart from Atocha station, located just south of the city centre. AVE/AVANT high-speed trains are operated by RENFE, Spain’s national rail service. The coaches are comfortable, spacious and feature modern and convenient amenities. From the airport, you can reach Atocha station via the C1 Cercanías commuter train line. This journey takes 40 minutes. Alternatively, you can take bus number 203 and that journey will last 60 minutes. To travel from Madrid to Segovia by train, you can purchase tickets at the Atocha station from an agent or via the purple automated kiosks, or online in advance. Tickets start at USD 11.97 for a one-way journey and USD 23.93* for a return ticket. Trains run regularly from Madrid between 06:40 and 21:30. Return trip run between 07:00 and 22:16. Departure times may differ on weekends, Sundays and holidays. The AVE train station in Segovia is located approximately 6 kilometers outside of the city. To reach the centre, take bus number 11 to the Aqueduct. Urban bus tickets costs USD 2.33* and can be purchased from the driver. Hiring a car and driving yourself to Segovia offers extra flexibility and freedom to explore the region. Established companies are represented at the airport as well as throughout the city. Rates vary depending on the company and length of rental agreement. The drive from Madrid to Segovia is simple and easy. Follow the A-6, AP-6 and AP-61 to Carr. de San Rafael in Castilla y Leon. Take Av. La Constitucion to Av del Padre Claret and follow the signs to Segovia. The minimum age to rent a car in Spain is 21, and you must be in possession of a valid driver’s license. Parking can be difficult to find in the city. It’s recommended that you park outside the centre and explore on foot. To get the best deal, make sure you are clear on the conditions of the insurance policy and fuel rates before you agree to rent the car. Cars can be hired at the airport or in Madrid. Reputable companies include Sixt.com, Economy Care Hire and Auto Europe. The trip to Segovia takes approximately one hour and five minutes. One of the more convenient ways to travel between Madrid airport and Segovia is via taxi. There are several companies in the city that will offer competitive rates and good service. A benefit of traveling to Segovia by taxi is that a driver will be ready and waiting for you at the airport. Your driver will take you directly to Segovia without having to pass through Madrid city centre. Book your car in advance to ensure your driver is there waiting for you as you arrive at the airport. This is especially important for larger groups to ensure you have a vehicle that can accommodate your entire party as well as their luggage. Taxis travelling outside the city ring will charge using the taximeter rather than a flat rate. An estimated price for this journey will be USD 139.84*. A trip from the airport to Segovia will take approximately 1 hour and 10 minutes. The most convenient way to visit Segovia is on an organized tour. The majority of tours will include stops at the city’s most iconic sites, including the Aqueduct, the Gothic Cathedral, and the main square. Prices range between USD 53 and USD 103* for half and full day tours respectively. All tours include transportation to and from Segovia on an air-conditioned bus. 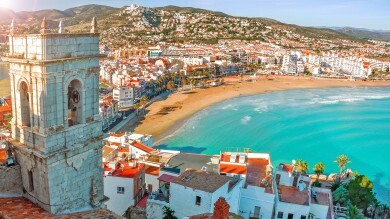 A standard Madrid to Segovia day trip will last nine hours and will include a stop in the nearby town of Avila. Segovia is a small and charming town with an interesting history. 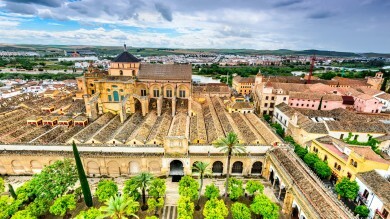 Home to a number of amazing historic and cultural attractions, this short-day trip from Madrid to Segovia is a must for anyone visiting central Spain.